Julie has been a Speech Language Pathologist for over 10 years since graduating from Northern Arizona University and the University of Texas-Dallas. She holds both a Bachelor's and Master’s degree in Communicative Disorders and brings to the Center her expertise in pediatric speech and language therapy. Julie has been at the Language Center since September 2007. She has worked in the public school system in the U.S. as well as abroad for a non-profit agency in Australia. Her interest and passion for global work continues to take her around the world as she generously volunteers her professional time for projects such as Operation Smile. 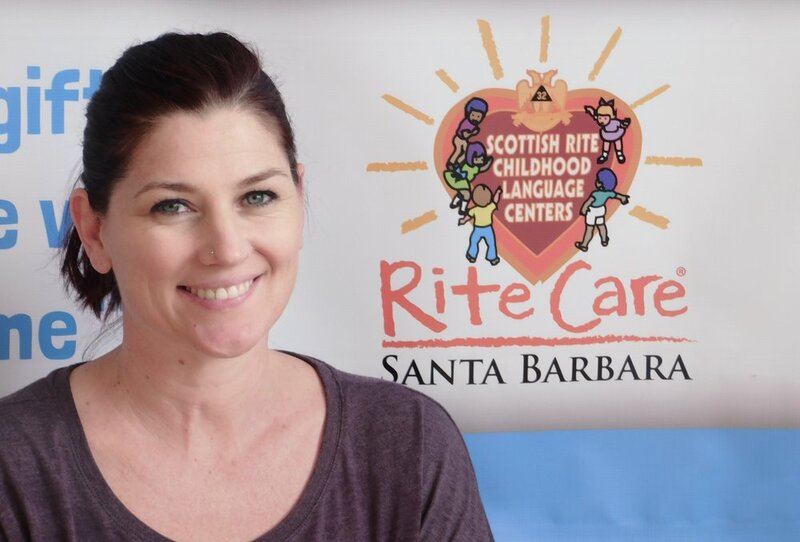 Summer has been a Speech-Language Pathologist for over 10 years and has worked at the Language Center since 2011. She earned both her degrees in Speech-Language Pathology, graduating with her Bachelor's degree from the University of Utah and with her Master's degree from the University of Nevada, Reno. Summer gained her expertise in pediatric speech and language therapy through working for the local school district for 7 years. She enjoys the private setting of the Language Center as she is able to connect with the families each week and spend more time with each individual child. Summer enjoys volunteering twice a month at Hearts Therapeutic Equestrian Center, where people of all ages and capabilities take horse-back riding lessons. Madison has always loved working with children and her dream of becoming a Speech-Language Pathologist brought her to the language center. Her duties include greeting families, client intake, volunteer coordination and handling Foundation reports and requests to help the Language Center run smoothly. When she is not home in the Bay Area visiting family, Madison loves to spend time with friends outdoors in sunny Santa Barbara. She is a full-time student at the University of California, Santa Barbara studying Communication and Speech-Language Sciences and Disorders. While working and enjoying her final year in Santa Barbara, she will be applying and attending graduate school for Speech-Language Pathology. Maurice has been a Mason since 1968. He previously served as our language center's Assistant Personal Representative and as Chairman of the Board for the Language Center. With various offices, Maurice was elected Master of the Magnolia Lodge #242 in 1977 and has been a member of the Scottish Rite since 1969. He received his 32° and also joined the York Rite and the Al Malaikah Shrine in 1969. Appointed as Grand Lodge Committeeman for 9 years, Maurice became affiliated with Carpinteria Lodge #444 in 1980 and was elected its Master in 1982. Working his entire life at Victor The Florist starting when he was 14, became manager at 35 and eventually became owner when his father passed away. Retiring at 64, he sold the business to his daughter in 2006 who is now a third generation florist. Ernie has been a Mason since 2012. He is a member of Carpinteria Lodge and joined the Santa Barbara lodge in 2015. He is a Santa Barbara area native, living in both SB and Lompoc and a graduate of Cabrillo High School. Ernie's parents immigrated from Guatemala in the 1980's making him a first generation American and fluent Spanish speaker. Ernie has been a full-time employee for the past 12 years with the US Postal Service. He has been training Brazilian Jiu-Jitsu for the past three years and has his blue belt. Ernie was introduced to RiteCare Language Center by volunteering at the annual Fiesta Rib Booth. Ernie enjoys being a part of RiteCare because he wants to help kids in his community and give back. He is especially interested in helping first generation Americans.